This is probably the only day which we’re not allowed to get furious when someone pulls a prank on us. I mean, if we allowed ourselves to be deceived at the first place, padan muka engkau, kan? 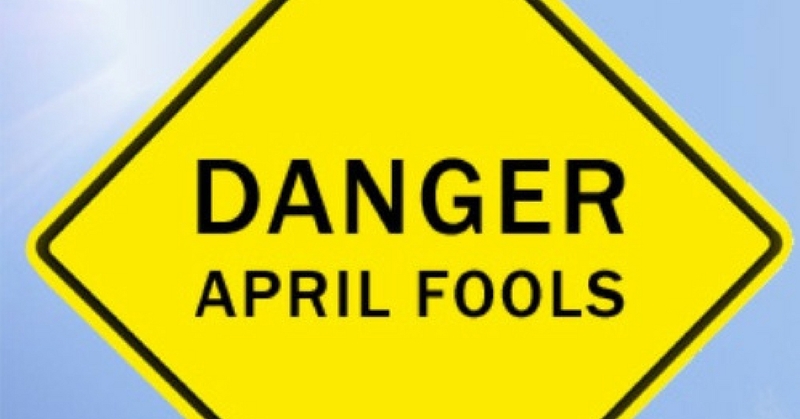 But first, lets look at the some trivia facts about April Fools’ Day! #5 This very day is also known as ‘April Fish’ in Italy, Belgium, Switzerland and France. In the Julian calendar, New Year was celebrated on the 25th of March. As 25th of March falls on Holy Week, they then celebrated on the first day of April. During 1500s, Pope Gregory XIII implemented the Gregorian Calendar. Based on the new calendar, New Year’s Day is celebrated on 1st of January. As many people still couldn’t accept the new date for New Year’s Day, they continued to celebrate first day of the year on 1st of April. Over time, some people started to make fun during this day by pulling jokes, pranks and hoaxes on others. True enough, after watching this film, a lot of people started to wonder of they can also get themselves a spaghetti plant. Spaghetti plant? Really? That’s just hilarious! Let us know some of your unforgettable April Fools’ pranks at the comment box below. Have a fun April Fools’ Day, peeps!